The two of you bump into an acquaintance. “Oh! Jane! Hi. Nice to see you too. Uh, yes, this is my…my…” My what? You can’t skip the introduction. That would be rude. 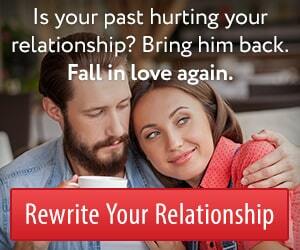 But what if you haven’t had a “state of the relationship” talk? What if nothing’s been defined? What do you say about him then? Don’t introduce him in terms of his relationship to you. Instead, introduce him in terms of what’s interesting about him. Just start with his name. Then add something interesting about him. This prevents him from coming to the conclusion that you see him as “just a friend,” or that you don’t feel comfortable with people thinking you’re an item. Bonus points if you can make it sound like a compliment at the same time. There are three powerful benefits to this little conversational trick. First, as I already mentioned, it prevents him from coming to the conclusion that you see him as “just a friend.” Believe me, he’s paying attention at those moments. When a guy hears a girl he’s dating call him a friend or a boyfriend, he notices. 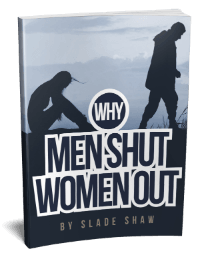 With my method, you haven’t relegated him to the friend-zone, but neither have you made any assumptions about the relationship. Making other people feel comfortable in social situations is a special kind of social skill. It’s the kind of social skill that operates invisibly in the background. Yet others are left with positive feelings whenever you are around to facilitate these smooth interactions. Here’s the third benefit of using this method. You’ve complimented him at a time when he’s sure to catch it. This is an opportunity to let him know you’ve been paying attention. Make the most of it by bragging on him a bit, shining a spotlight on one of his strengths or interesting characteristics. In fact, this method works really well for regular relationships, too. Using it, you can practice making people feel good about themselves any time you have to make an introduction. Show them that you admire them, that you’ve noticed what they’re interested in. Or mention their talents and other interesting facts that set them apart. I strongly encourage you to start introducing people in this way. Build the habit now. Then, it will feel natural and automatic when it really counts. This entry was posted in Communication, Relationships and tagged relationships by James Bauer. Bookmark the permalink. I totally agree. I really appreciate your shared tips, especially this one….Its very helpful as i have been a victim many times. This advice is also great for us older daters. How do I introduce my ‘boyfriend’ when I am over 55? It sounds too teenagerish to me to say boyfriend. I don’t like using partner because people assume (they’ve told me so!) that we live together for years which we don’t. I don’t like just saying my dear friend, makes it sound like we are just hanging out together. So this advice is much simpler! I can now say “This is So and So, and he is such a good blah blah and blah”, then put my arm through his in a loving way. So far it has worked really well and people see my pride and can see he enjoys the flattery and the little love action makes it clear to all how we feel about each other. Nice! Thanks for fixing my quandary! That’s perfect, Aletheia! Thanks for sharing that. Thank you for this. What happens if you have been with a man for 5 years and he introduces you as just “your first name”. That’s it. Then they are coming up to me later and asking me how I know him or what we are. I have asked him about this and he says he is a very private person and our relationship is not any one else’s business. This is great. I can’t count how many times I have stumbled when I try to introduce a man in my life at a social gathering. Not wanting to offend him by being to casual about our status yet not wanting to complicate things by making a commitment that maybe neither of us are ready for. Thanks for the new angle. Really helpful for any introduction. Doesn’t make the other people have to ask questions. James– thank you so much for writing this too. This is one of the items I find most aggravating- even in business… How to introduce a person! This has given me inspiration to find the “something” in each one of my friends and practice. Looking for your next fun thought- enjoying your gift of breaking down the simple things! I came across this strategy years ago when trying to introduce my step-granddaughter and her unwed mother. My husband was mind boggled to the point of not wanting to be in social situations but we were so proud of our baby Gdaughter that we wanted to show her off. So here’s how it came out: This is our new Gdaughter (name) and her proud mom (name). This way we established the relationship of the child to us, to her mom and her mom to us without making too much of a statement on a delicate situation. James- Thank you for this tip. I find it so awkward when introducing someone I just recently started seeing and this solves the problem perfectly. I will add it to my file of other great tips from you. I just want to thank you James for all of the relationship tips. They are so helpful & I love reading them and using them. I just really appreciate your generosity in sharing so much! Thank you! Thank you, Rachel. I appreciate that! I learned a lot with this site.